Sell My Nexus 6P | How Much is My Huawei Nexus 6P Worth? Select the information above in order to receive an accurate quote for the Huawei Nexus 6P you want to sell. Click sell item if you agree with the price that is displayed. GreenBuyback purchases cell phones, tablets, and laptops at the highest prices in the industry! GreenBuyback pays cash for your old cell phones, tablets, and laptops. When you sell your cell phone, tablet, or laptop to GreenBuyback you will never have to pay shipping. GreenBuyback is dedicated to maximizing the cash back to our customers. Sell your Huawei Nexus 6P for cash today! The Huawei Nexus 6P debuted in July 2016 and like its predecessors, the Nexus 6P does a fine job of showcasing the newest Android OS - in this case Android 6.0 Marshmallow - and delivers all these goodies in a well designed package. The Huawei Nexus 6P is the first of Google's phones to work with all major US carriers. The sharp, high resolution screen makes watching your favorite shows a dream. The camera gets a little bit of an upgrade here as well with a 12.3 megapixel rear facing camera with Sony sensor. GreenBuyback will buy your Huawei Nexus 6P in any condition, even broken! 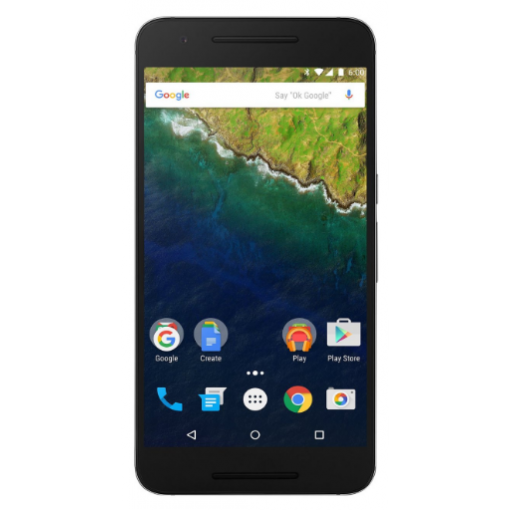 Simply head to GreenBuyback to get a quote, send your Huawei Nexus 6P in, and get cash quick! The Nexus 6P is the first metal Google phone and this is a major design upgrade, if it doesn't also make the phone a bit heavier. The phone also features Google Imprint, a security finger imprint based technology. Selling a Huawei Nexus 6P is so easy with GreenBuyback; send your Huawei Nexus 6P to GreenBuyback with free shipping and you';ll get cash sent to you fast!